Creative Nightscapes offers high-quality design and installation services for residential and commercial customers in Willow Park who need outdoor lighting. Patrick Cheatham, the owner of Creative Nightscapes, started providing these services in 2004. 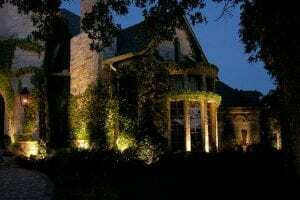 Since that time, our company has done thousands of outdoor lighting projects for customers in the greater DFW area. We’re able to provide superior service thanks to our team of more than a dozen employees. 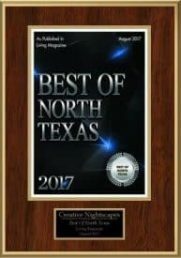 At Creative Nightscapes, we’re committed to ensuring that our customers receive outstanding service. Our company is a member of the Better Business Bureau and the Association of Outdoor Lighting Professionals. Customers who have worked with us in the past on outdoor lighting design and installation have posted positive online reviews about their experience. These reviews tend to mention that our employees did quality work and stayed on schedule, showing that they’re skilled at what they do and highly reliable. Landscape lights offer an effective way to highlight specific areas of your property at night for visual appeal. This can improve your property’s appearance overall and boost curb appeal. At Creative Nightscapes, we provide landscape lighting design and installation services in Willow Park for homeowners and business owners. LED lights provide residential and commercial property owners with a way to illuminate their property in the dark without running up high electric bills. Creative Nightscapes offers an impressive selection of LED outdoor lights for customers to choose from. Investing in a high-quality security lighting system helps protect your property from crime. This kind of lighting can also be used to make sure that walkways and pathways are well-lit at night, reducing the risk of falls and other accidents. Creative Nightscapes offers security lighting services in the Willow Park area. With expertly designed patio lighting, you can enjoy relaxing on your patio on hot summer nights. Creative Nightscapes has experts available to assist you with creating the right lighting system for your patio. You and your family can look forward to cooling off on hot evenings and nights with poolside lighting. Creative Nightscapes provides poolside lighting services, including design and installation, in the Willow Park area. Homeowners and commercial property owners can rely on us for high-quality poolside lights. Having garden lights on your property means that you can draw attention to this part of your yard when it’s dark out. 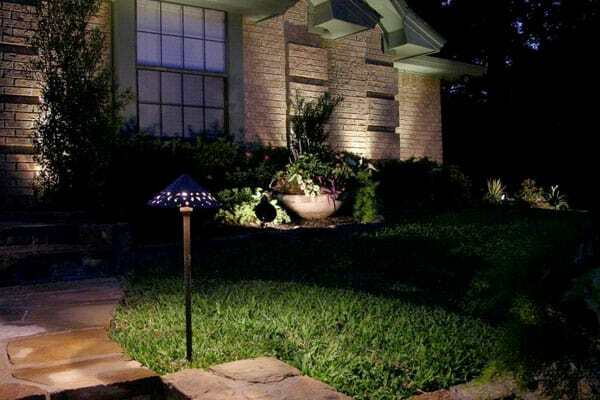 The right lighting system can illuminate your entire garden or highlight certain features in it. At Creative Nightscapes, our team provides dependable garden lighting design and installation services for Willow Park homeowners and business owners who want to enhance their property. If you’re ready to learn more about outdoor lighting options for your home or business, please contact Creative Nightscapes. Our residential and commercial services are also available in the surrounding cities, including Aledo, Benbrook, Hudson Oaks, Weatherford, and Westover Hills.